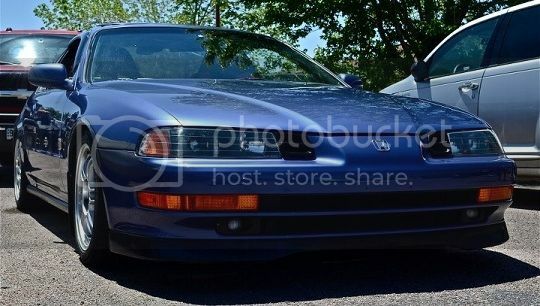 I found a website with some great information on running crazy offsets on all different cars including Preludes. I have only found useful information on 4th and 5th gen cars though. For those who have a crazy love for insane offsets and wide wheels and tires... I share my love! Re: Wheel Tucking & More. This is REALLY helpful bro, +rep. Right in a time where I'm looking at low offset wheels. EDIT: I have to spread the rep around... damn. ^^^ Ha, thanks man. Only rep the people that really deserve it though. I know you are a good judge on that. I had been trying to find some pics of the general look I am working towards, and I'll be damned if you didn't find a site with exactly what I was looking for. Now, if you would like to help me with the financial part I would be even more happy. The only thing I do not suggest is streatching your tires. The rest is good information. did u guys see that 5th gen rocking 255'5 on the rear, that **** is crazy!! that is so f*****g sweet!!! good find though, that site could come in useful at some stage! incase no one noticed, ffxbb6 (FFXLude) is one of the cars on there. Main purpose is to keep the tires from rubbing. ok im trying to get 17in rota grids offroad with a +20 offset on my unlowered 5th gen lude. what do i have to do i dont want to roll fenders but i dont think i can any since its not lowered but about the spacing im affraid they will come out of the fender thats what i dont want. theres this guy with 16x8offroad grids with the 20 offset heres a pic but if you notice the rims and tires are perfect and dont seem to roll the fender much and also this guys lude is lowered so if i go 17in with the same rim and offset on a non lowered lude i guess i wont have to worry about rollin right, need some advice. Last edited by EvilBird; 11-27-2009 at 02:08 PM.